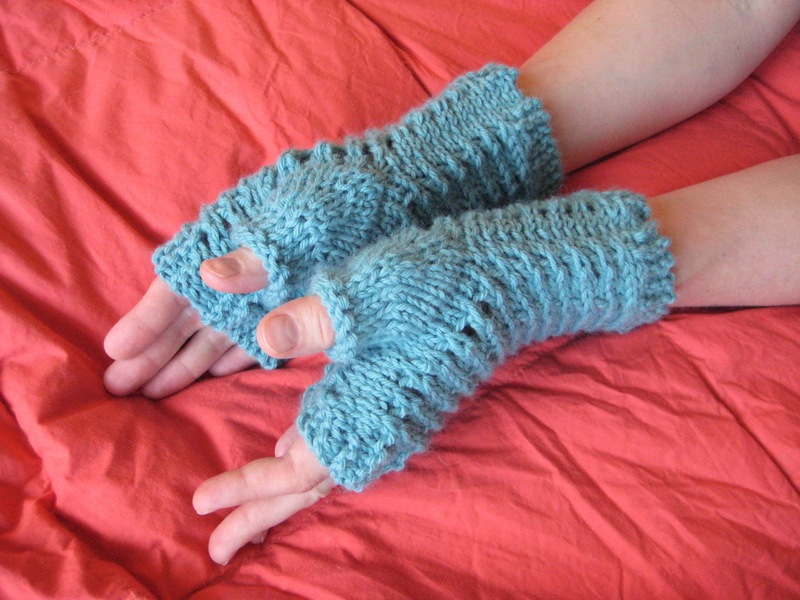 The idea behind this pair of fingerless gloves was simple; not everyone likes to knit on double pointed needles, but even the dpn-adverse should be able to enjoy a nice fingerless glove. And as far as these bad boys are constructed, we'll begin by working the thumb, then we'll make the body of the glove, and then we'll put them all together! Somewhat unbelievably, even after making the Razor Shell Fingerless Gloves and the Staghorn Fingerless Gloves out of my single skein of Berroco Ultra Alpaca Fine, I still had a bunch left. 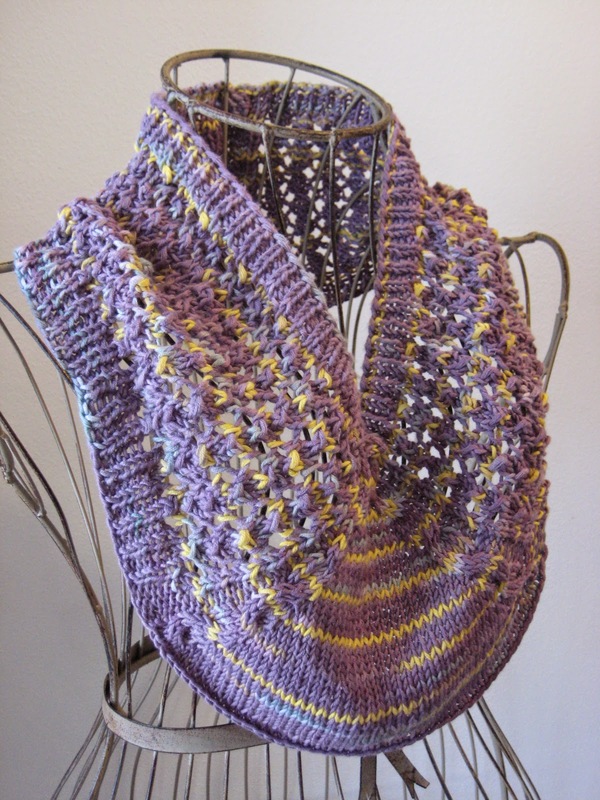 And because I love to pair variegated yarns with similarly-colored single-color skeins, I thought it would be a perfect opportunity to use up the Crystal Palace yarn I originally bought for the Starry Night Cowl. 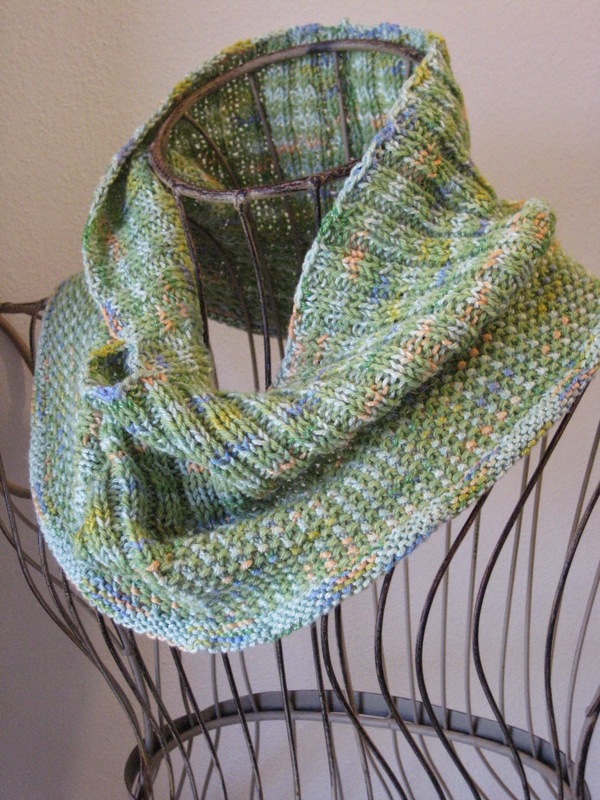 Long story short, the Water Lilies Cowl uses two sock weight yarns, a slip stitch color pattern, and a simple striped rib to make a nice, closer fitting design whose top portion is entirely reversible, for drape. 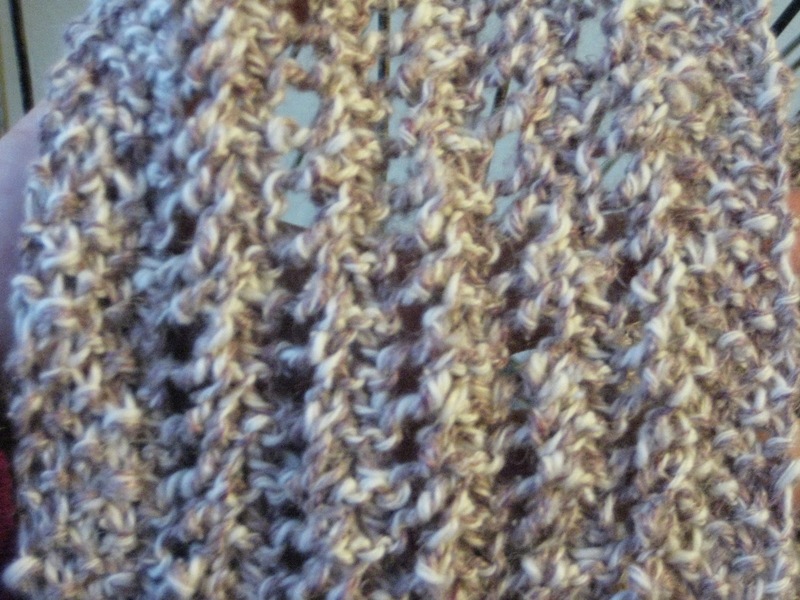 A close-up of the slipped stitch pattern. Before I get any further, I should warn you - this is not the ideal yarn for this hat, if only because I needed about 102 yards of it rather than the 100 yards in a single skein (luckily, I had a bit left over from the Porcelain Moon Cowl). Of course, if you ignore the yardage, this cotton/wool worsted weight blend makes a pretty excellent lighter-weight hat, and the cables stand out crisply in the smooth texture. 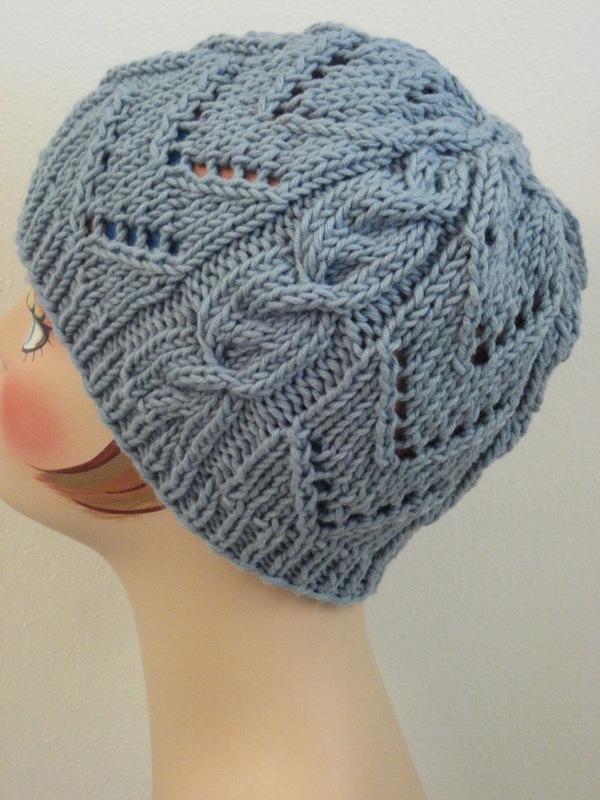 The Chevrons & Cables Hat is also kind of a riff on the Peaks & Cables Hat, since both use a lace pattern and a cable pattern to nice effect. 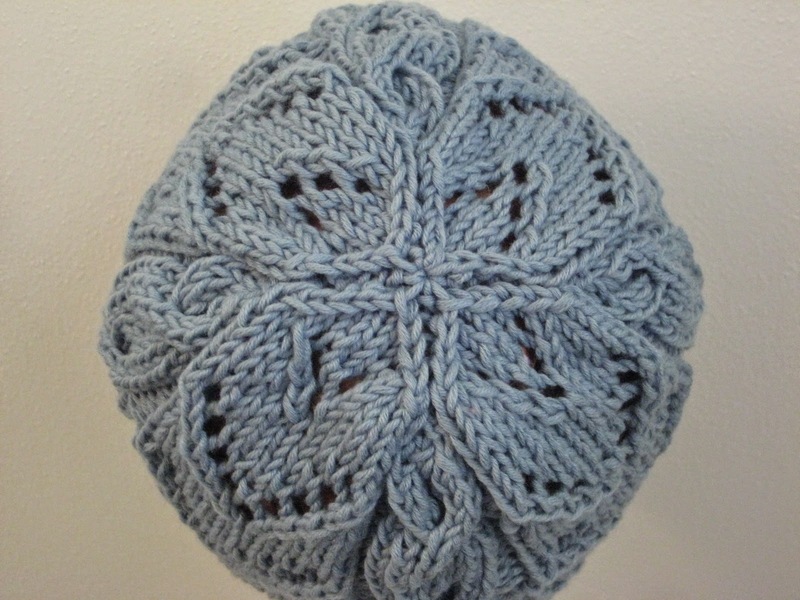 Using your size 6 needle, cast on 92 stitches, place marker, and join in round. 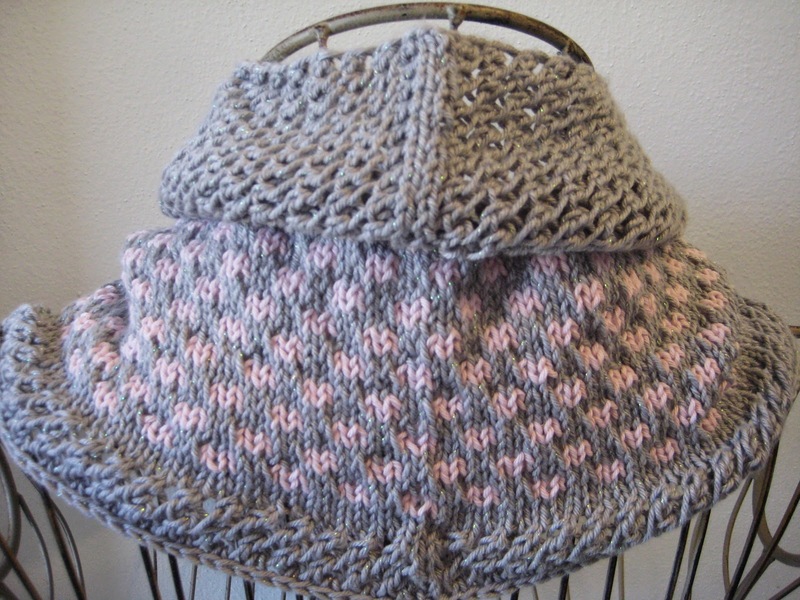 Knit one inch in a * k1, p1 * ribbing, and then switch to your size 8 needle. And now that that's done, we'll start on the main pattern, which is a combination of Lace Chevron from page 202 of Barbara G. Walker's A Treasury of Knitting Patterns and Elliptical Cable from page 180 of Barbara G. Walker's A Second Treasury of Knitting Patterns. 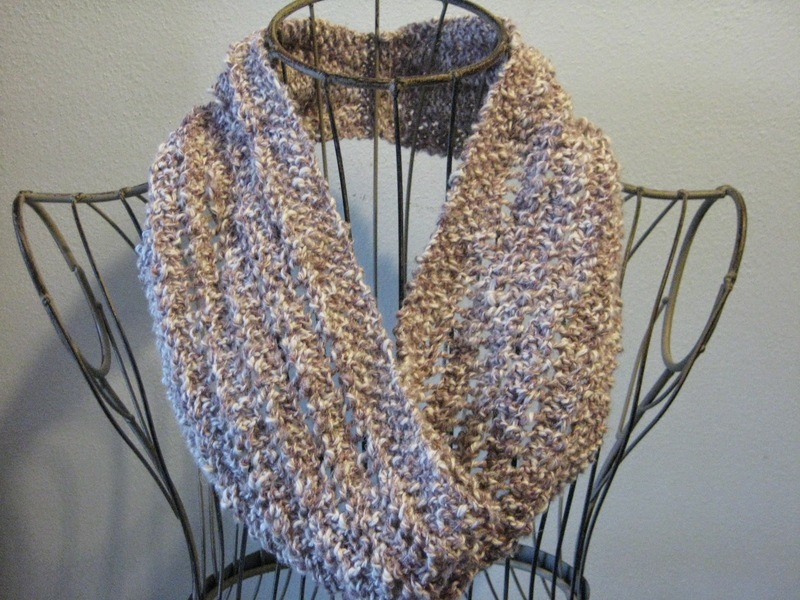 I won't deny it - the entire motivation for this cowl was finding a nice way to knit up this beautiful, nicely-textured yarn. 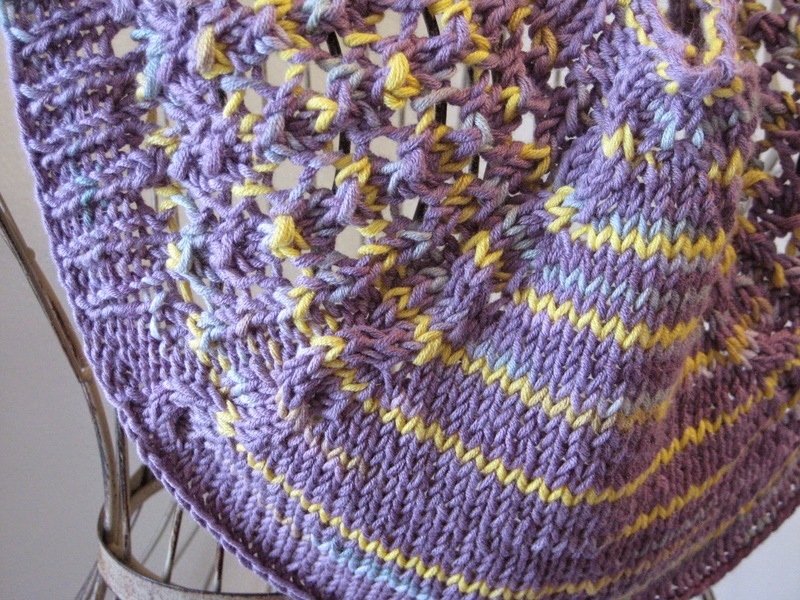 And I think that this particular combination of cables, stockinette, and an openwork lace suits the yarn's variegation well, and gives the piece a bit of visual interest without getting totally swallowed by the color changes. It's also a nice weight for spring! 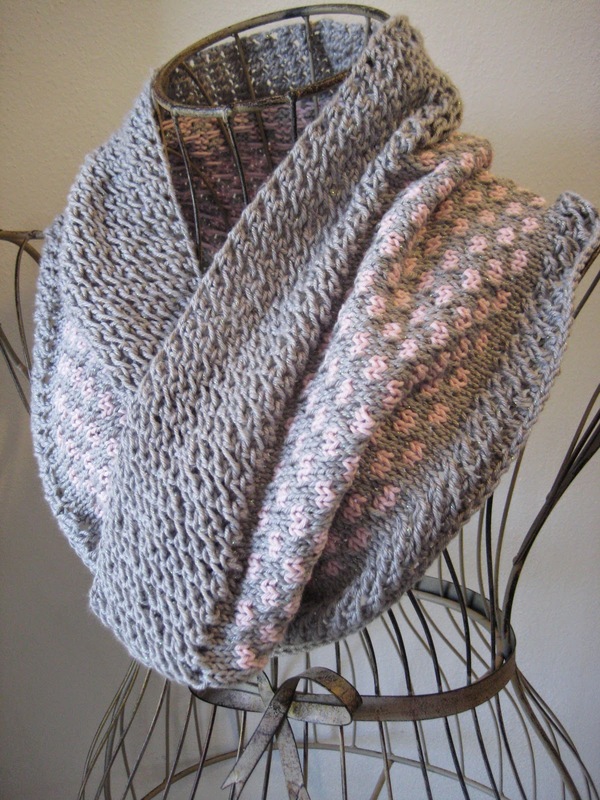 A closer look at the cable-edged stockinette and lace pattern. Well, I'm still picking away at the same skein of yarn that I used for the Razor Shell Fingerless Gloves, and I'm still digging the results (and amazingly, even after finishing these bad boys, I think I'm still going to be able to put together a two-color cowl with the rest of my single skein). 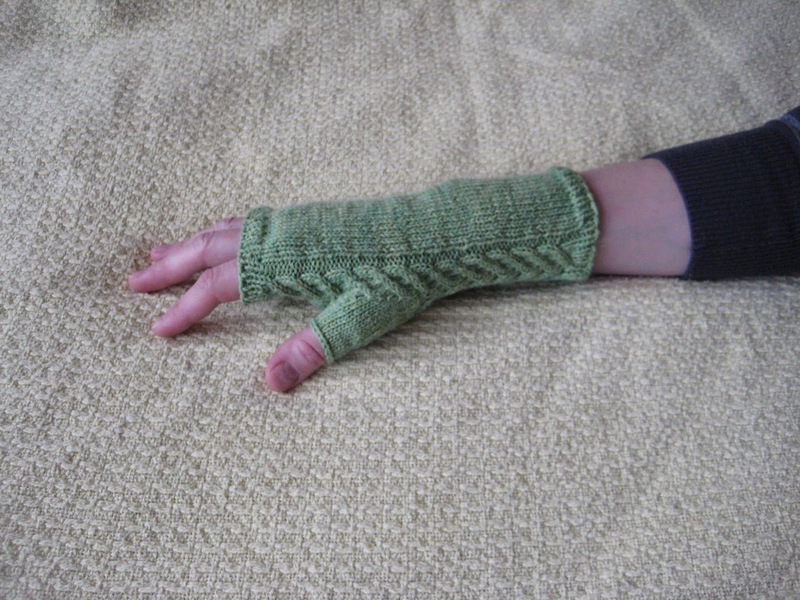 Anyway, this pair of fingerless gloves uses a basic stockinette and a pretty cable to create a bit of interest in the thumbs. And it's still such a lover-ly green! It looks lonely, doesn't it? So here's the thing. Mostly, I bought this yarn because it was 100% cotton, I liked the subtle color pattern, and it was cheap as hell. 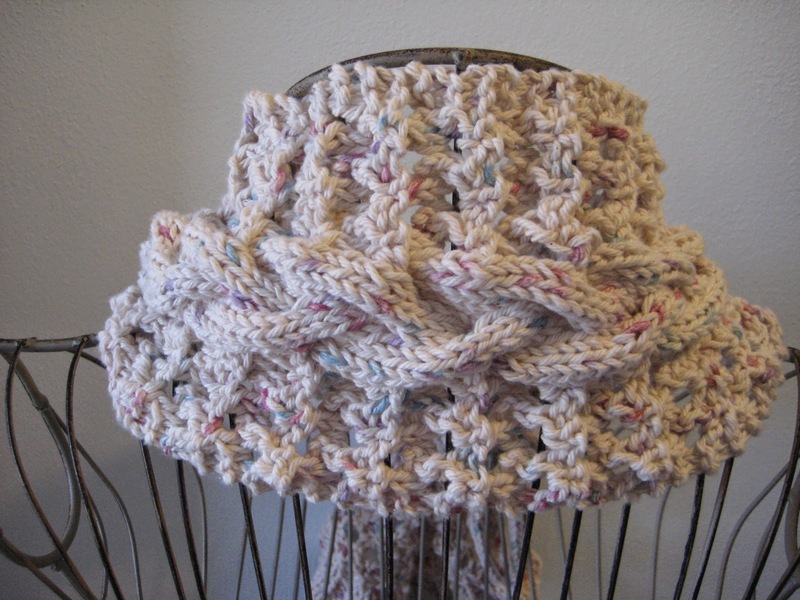 Then, at some point, I realized that most people seem to use this type of fiber for dish clothes rather than, you know, cowls. Nevertheless, I quite like the end result, both with the braided cable and the reversible eyelet pattern which surrounds it. 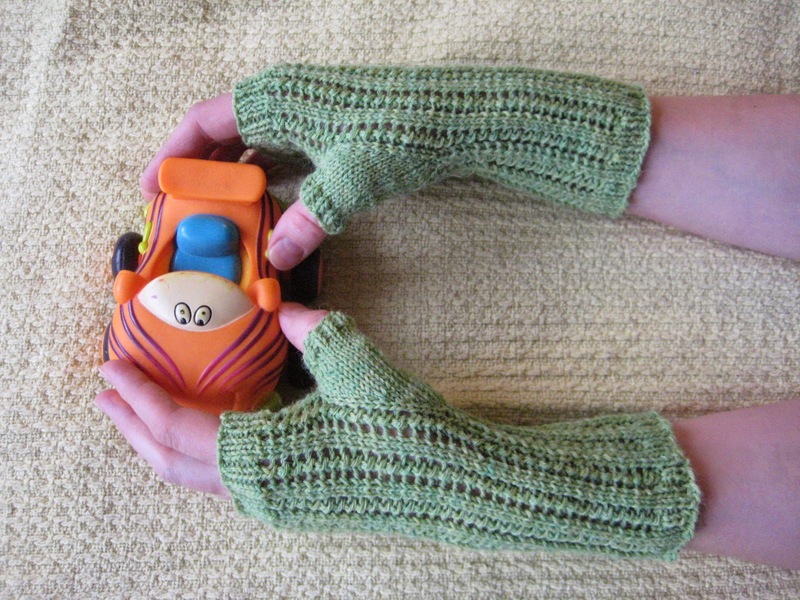 I've worked with this yarn before, and enjoyed it (with the Lady Lawyer Arm Warmers and the Oopsie Daisy Diagonal Hat). Therefore, when I saw it in this delicious brand-new-leaf green, I knew I had to bring it home. 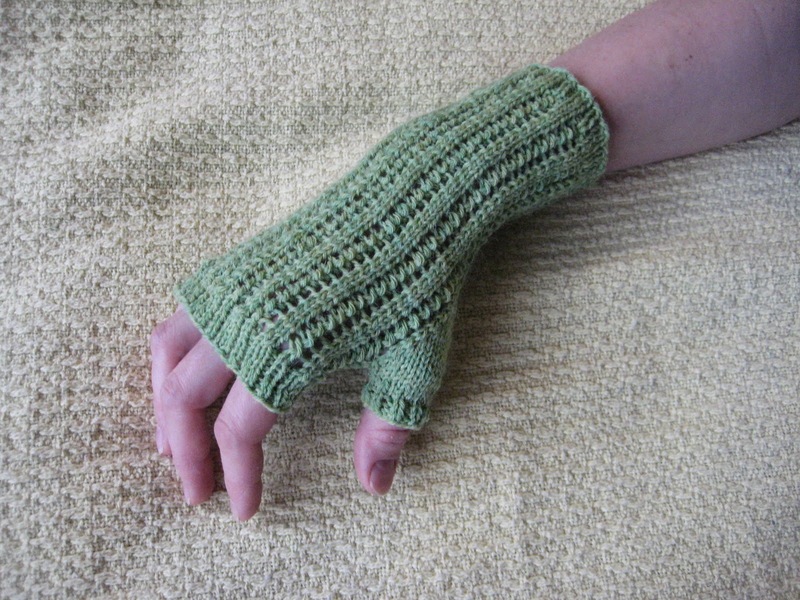 And the Razor Shell Fingerless Gloves have a nice open pattern that's great for spring, with the added benefit that the yarn overs give them a ribbing-like quality which makes them conform nicely to the hands. 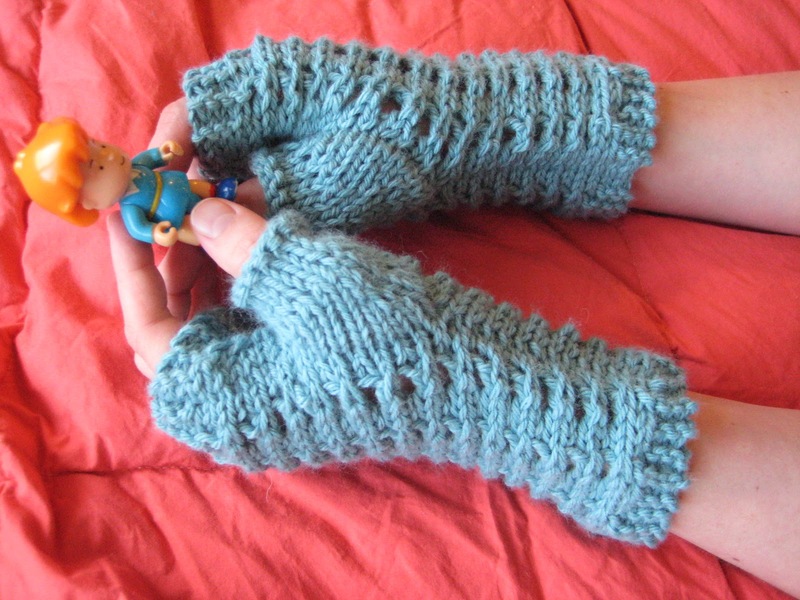 So, you know, the yarn is nice, the shape is good, and the pattern looks decent, to boot. 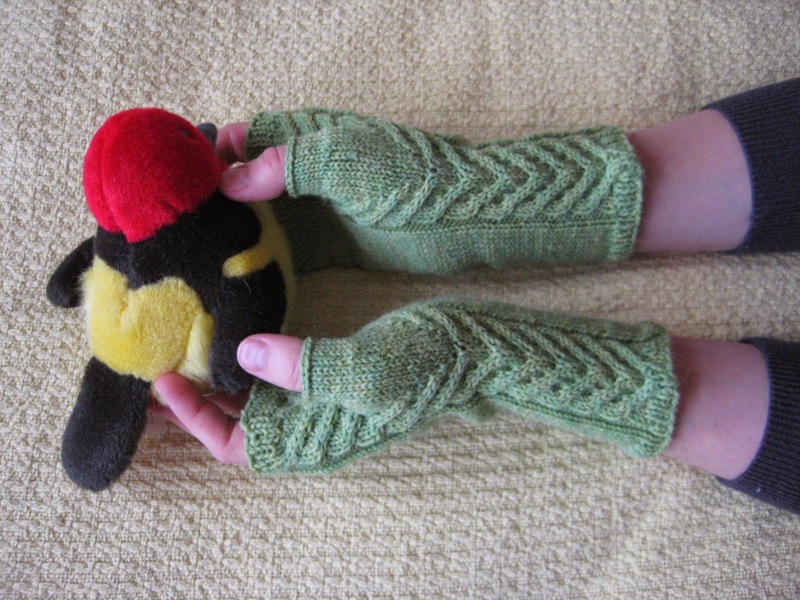 And what more can you look for in a fingerless glove? My husband calls this pose the "claw." Apparently, I don't have a future in hand modeling. 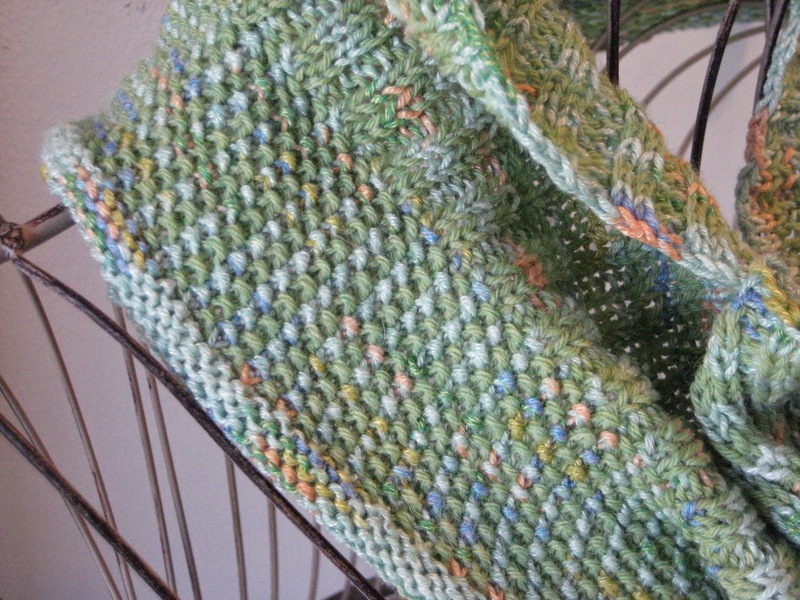 Nothin' says springtime like a cowl (well, let's be fair - some crocuses would help too, but I think they're still too scared to poke up), and this linen-blend is a nice weight for the changing seasons. 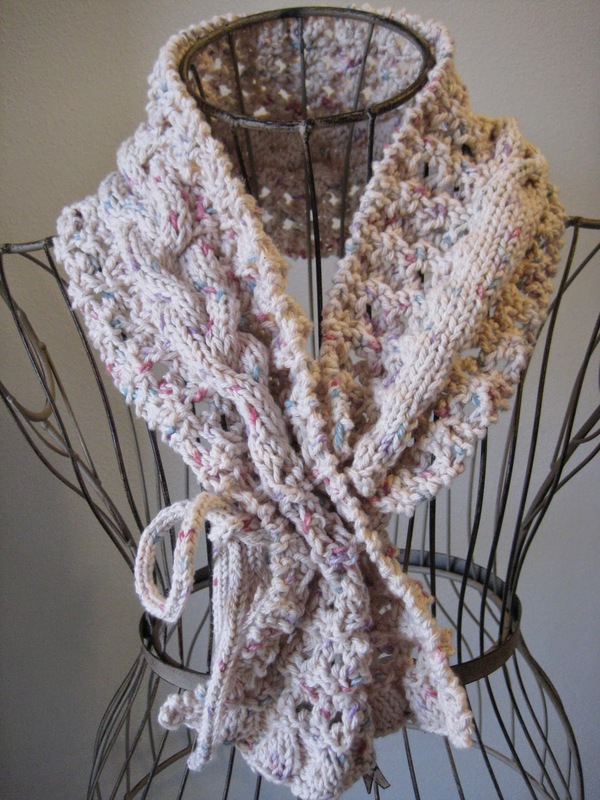 This design is also well-suited to nubbly or variegated yarns, since you don't need to make out the pattern super-well to appreciate the overall result.